Staying in Zurich but still want to be part of the adventure scene in Interlaken? 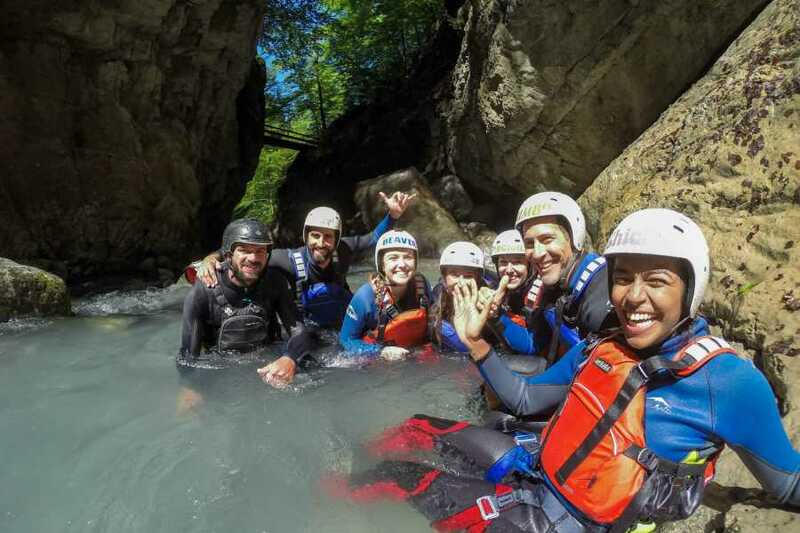 Then take advantage of this fantastic service including air-conditioned coach transfer from Zurich and a fun, local canyoning trip in Interlaken. Its even cheaper than taking the train! The coach departs Zurich at 8:00 bringing you in comfort to Interlaken by 11:00. On arrival you have 2.5 hours to explore the town and find some lunch before meeting for the Canyoning trip at 12:30. Following your thrilling adventure you still have a couple hours free before the departure at 6:00pm, just enough time to squeeze in a Paragliding flight or Vertical Rush! Our local Interlaken canyon covers every aspect of the sport and makes a great introduction to canyoning. Travel through tall, narrow gorges and get up close and personal with nature. Short and sweet, this half day canyon will whet your appetite for more and it is only a short five-minute drive from our base. More details here. IMPORTANT: This package is only available as a day trip. Please select the same dates for the departure from Zurich and the Canyoning Interlaken.